We all the importance that ZIP files offer, when comes to their use during data compression and decompression. In this tutorial, we shall see the process that can be used for the handling of ZIP files in Java. Several sources of data are known to have redundant information, or data that hold no value to the already stored information. As a result of this, very often large amounts of data end up being generated, which is then transferred between server and client systems. The most obvious method that can help an organization tackle this issue is by making use of more storage devices and also, by expanding on the already existing communication facilities. However, this is a step that is also obviously going to increase the organization’s operating costs. A counter method would be to free up a portion of the data storage capabilities by the use of efficient code. This is particularly where data compression and decompression happen to be very effective means, as they are both efficient, as well as convenient. In the case of Java applications, we can implement this by making use of the java.util.zip package. Why can’t we use file compression application to compress files? While it well known that data can be compressed and decompressed with the help of already existing applications, such as gzip, WinZIP, or even Java Archive (known as jar), they are largely standalone applications. One can invoke these tools from their respective Java applications, but it isn’t exactly a straightforward process. Also, the process isn’t very efficient. Besides, if you wish to compress or decompress data on the fly, the above mentioned issues couldn’t hold truer. We shall now discuss data compression, the java.util.zip package and then learn how to compress and decompress data. Here, the 3A represents three A’s, 4D represents four D’s and so on. This method of compressing a string is known as run-length encoding. We shall take another example in the form of a bitmapped image, which is given below. Now, using run-length encoding, we can compress this representation of a rectangle by using the following. Here, the first line happens to be represented by 40 0s. Similarly, the fourth line consists of 10 0s, followed by a single 1, 18 0s, another 1 and then a further 10 0s. Another approach can be the usage of a graphics metafile, in order to store the image. This states that the starting coordinates of the rectangle are (11, 3). The length is 20 and the width is 5. A very important point to note in the case of run-length encoding is that they tend to require separate representations in case of the file and also the encoded version. Therefore, this method is not suitable for implementation on all files. Other techniques, such as variable length encoding, also called Huffman Coding, may be used. What are benefits of data compression? Data compression assures several benefits. However, the main advantage remains that it helps in the reduction of storage requirements. Also, in this case, when compressed data is transferred over a certain medium, the rate of information transfer naturally increases. Also, it is good to note that data can be compressed by the use of both software and special types of hardware. What is the java.util.zip package? Java is known to provide the java.util.zip package that allows for ZIP oriented data compression. Basically, it provides you with classes, with the help of which you can create, read and even modify files bearing the GZIP and ZIP formats. Besides, it is known to offer utility classes that can be used for the computation of checksums of arbitrary inputs that can help in the validation of such input data. Overall, the package consists of one interface, 14 classes, and 2 exception classes that have been outlined below. Checksum – This interface is meant for representing data checksum. It is implemented by Adler32 and CRC32 classes. Adler32 – This class is used for the computation of the Adler32 checksum of an input data stream. CRC32 – This class computes the CRC32 checksum of a data stream. CheckedInputStream – This class is an input stream that is meant to maintain the checksum of data that is being read. CheckedOutputStream – This class is an output stream that is meant to maintain the checksum of data that is being written. Deflater – This class supports general compression by making use of the ZLIB compression library. DeflaterOutputStream – This class is an output stream filter meant to compress data in the deflate compression format. GZIPInputStream – This class is an input stream filter meant for the reading of compressed data in the GZIP file format. GZIPOutputStream – This class is an input stream filter meant for the writing of compressed data in the GZIP file format. Inflater – The use of this class is that supports general compression by making use of ZLIB compression library. InflaterInputStream – This class is an input stream filter by which one ca decompress data that is in deflate compression format. ZipEntry – This class just represents a zip file entry. 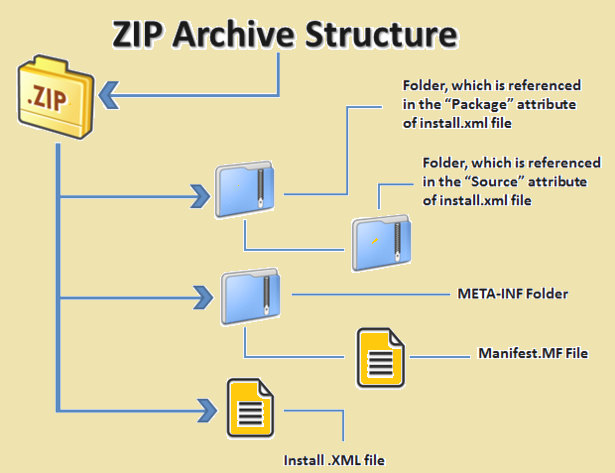 ZipFile – This class is meant for reading entries from a zip file. ZipOutputStream – This is class meant to be an output stream filter that allows writing of files in ZIP file format. ZipInputStream - This is class meant to be an input stream filter that allows reading of files in ZIP file format. ZipException – This basically an exception class that is thrown for signaling zip errors. DataFormatException – This happens to be an exception class meant for signaling a data format error. Once the ZIP input stream has been created, you can easily get going in terms of reading ZIP entries by making use of the getNextEntry method that returns a ZipEntry object. When the end of the file is reached, this method returns the null. After this, it would be ideal to set up a decompressed output stream that has been provided. You might have noticed how we have made use of BufferedOutputStream rather than ZIPOutputStream. The ZIPOutputStream and the GZIPOutputStream are known to use a buffer size of 512. The implementation of BufferedOutputStream is only relevant when the size of the buffer is more than 512, i.e. 2048 in our case. As for ZIPOutputStream, it doesn’t allow the setting of a buffer size and for GZIPOutputStream, you can specify the internal buffer size as a constructor argument. In this part of the code, we shall create a file output stream using the entry’s name, which can be retrieved by the use of the method entry.getName. The sourced zipped data is then read and further written into the decompressed stream. Further, you can close the input and output streams. Now, we shall take a look at a sample that shows the decompression and extraction process. To test this, we compile and run it, passing a compressed file in ZIP format. One important point to note is that the ZIPInputStream class is known to read ZIP files in a sequence. However, in the case of the class ZIPFile, it reads the contents using a random access file internally, such that the entries of the ZIP file does not have to be read in a sequence. Another basic difference between these happens to be that zip entries are not cached when a combination of FileInputStream and ZIPInputStream is used. But, in case of ZIPFile, the file is always cached internally. The ZIPOutputStream is used for the compression of data to a ZIP file. The ZIPOutputStream is known to write data to an output stream in a ZIP format. The provided program can help you understand such a process. It is good to note that entries can be added to a ZIP file either in compressed, i.e. DEFLATED, form, or also in uncompressed, i.e. STORED, form. The setMethod can be used for the setting of the method of storage. The article that has been written above shows the API that can be used for the compression and decompression of from your Java applications. In fact, the overall java.util.zip package has been described so that you can clearly refer to what it has to offer. With the presence of code samples for the two major processes, you can easily learn how to handle ZIP files in Java applications and further implement them when the need to do so arises. Therefore, this allows you to save disk space and also increase the file transfer rates between the server and client machines. Besides handling just file, one may also look further and learn how to compress and decompress data on the fly.